I can't stop smiling thinking about this. So psyched. Gratz! I am excited to read your work. More importantly, to see where you go with your out of the box life and work. You are admired. Congratulations! Joi - Looking very forward to reading. Congrats !! 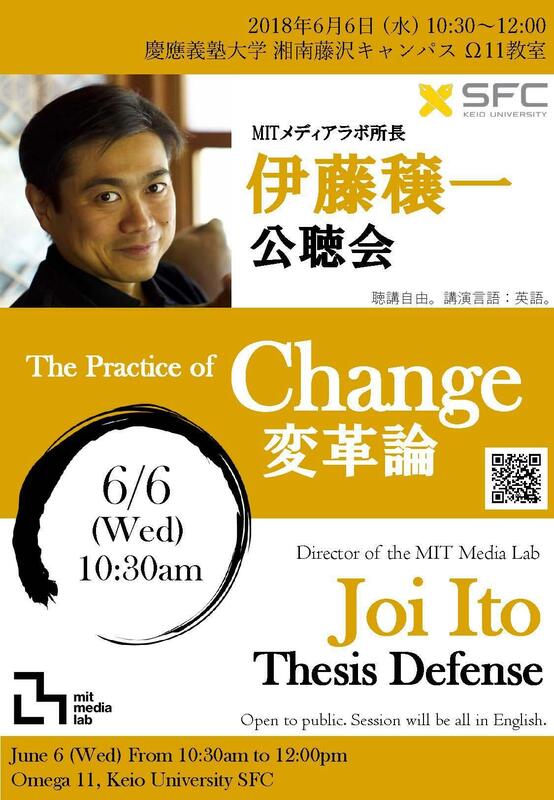 Joi Ito - "Ding! Earned First Higher Degree." by Joi Ito is licensed under a Creative Commons Attribution 4.0 International License.